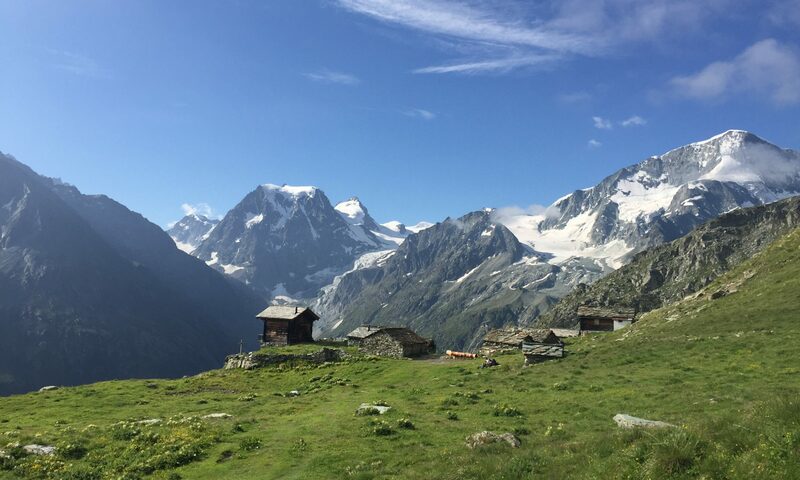 Over the last few years my hikes in the Valais have mainly had peaks and mountain huts as the destinations. Ridges are not so accessible – just getting to them generally involves a significant climb in itself. Consequently ridge walks are not so popular except where ski lifts can get you part of the way there. Until this year the only ridge I had hiked was the Crête de Thyon from Thyon 2000 to Greppon Blanc taking in Mont Rouge. 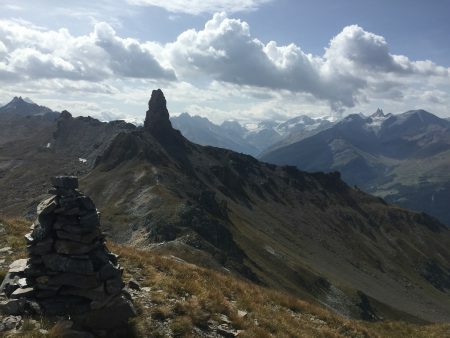 This summer I set out to find a few more ridges in and around the Val d’Hérens and nearby valleys. Here are three. 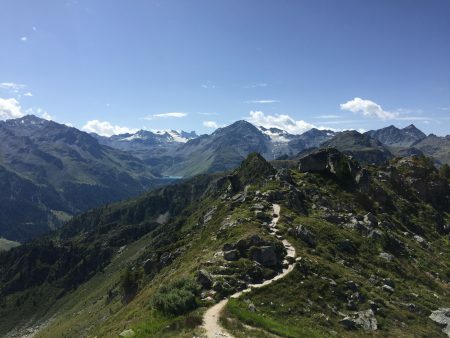 First up was the walk along the ridge from the Dent de Nendaz towards Mont Gond, taking in Petit and Grand Alou. I took the cable car up from Nendaz to Tracouet then hiked up to the 260m elevation to the Dent de Nendaz from where the ridge began. This was rather popular with a well marked path, no doubt as it is accessible by cablecars at either end. I got as far as the cable car above Siviez and decided to head back as the weather was turning. This was by the looks of things the best part of the ridge in any case. It was only 2km in each direction according to the map, but with the ins and outs and ups and downs it felt longer. Next up was a walk along the ridge from Crêt du Midi above Vercorin to Roc d’Orzival above Grimentz. 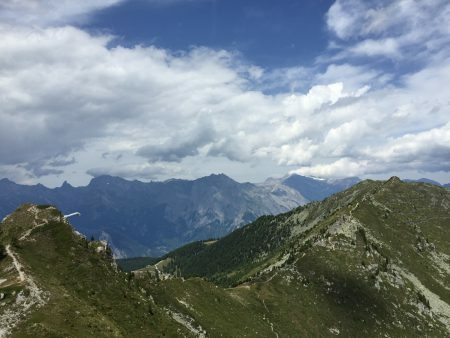 A colleague from work joined me and we took the cablecar from Vercorin up to Crêt du Midi, before climbing up to La Brinta where we joined the ridge. The views should have been spectacular, looking into the Vallon de Rechy in one direction and the Weisshorn in the other. 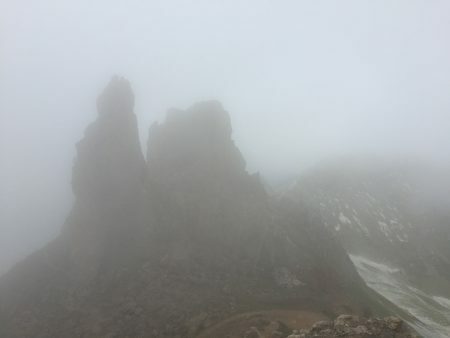 Instead we had a very ethereal day with boiling cloud and only tantalising glimpses of the sun and the spectacular rock formations. The path was well worn, and there are cables in a few places. This is definitely a hike to repeat in better weather conditions. We stopped at the Roc d’Orzival, though its possible to get to the Becs de Bosson. The walk was about 5km in each direction, plus over 500m elevation, but again it was never a straight line! My final ridge was accessed from the Pas de Lovegno. I took the easy way there by driving up to the Alpage de Loveignoz where in the summer months there is a restaurant and you can buy cheese and yogurt. This also saves the legs a 700m climb from Suen in the valley! There was still a 500m climb to the Pas de Lovegno, where there were spectacular views of La Maya, which had a steady stream of climbers scaling the vertical rock feature. 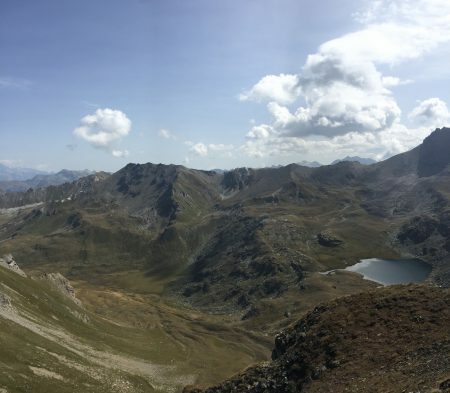 I then walked along the ridge to the Becca de Lovegno, which gave a fantastic 360 degree view of the Becs de Bosson, La Maya, the Val d’Hérens, the Vallon de Rechy as well as the Orzival ridge that was the previous hike. This ridge was clearly not so popular. It was not marked on the map and it had only the faintest of tracks to the top of Becca de Lovegno. The next bit which went onto Mont Gautier had no discernible path and though it certainly looked doable I decided I would tackle it next time! Next PostNext Can purpose-driven companies change capitalism?